Find out where Adam is playing live! Need a background track, arranging, or producing for your project? Adam offers piano accompaniments, full background tracks, production for original music, chart and sheet music production. 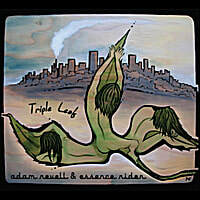 Released in 2010 on the Dazzle records label, Revell's jazz album "Triple Leaf" is available now!